In this post, let us go through the details / highlights of Pradhan Mantri Suraksha Bima Yojana (PMSBY Scheme). PMSBY is Modi Government’s Personal Accident Insurance Scheme. 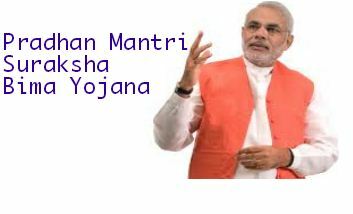 All Indian Citizens are eligible for PM’s Suraksha Bima Yojana. Under this scheme, if the insured dies due to an accident, the nominee of the insured will get Rs 2 Lakhs as death benefit. If there is any total disability due to accident, the insured will get Rs 2 Lakhs, and for partial disability, the risk cover is limited to Rs 1 Lakh. This scheme will be linked to the Central Government’s another popular scheme ie., “Pradhan Mantri Jan Dhan Yojana”. Who is eligible to take PMSBY? This life insurance plan is available to people (all citizens) in the age group of 18 to 70 years and having a bank account. When will this Scheme start / open? PM’s Suraksha Bima Yojana Scheme is now open for subscription for the insurance period 1st June 2015 to 31st May 2016. The last date to apply for this scheme for this insurance period is 31st May 2015 (Govt has now extended this deadline till 31st August 2015). What is the Premium amount? You have to pay Rs.12 per year. It will be auto-debited form your bank account. What is the total Risk Coverage offered? For accidental death and full disability – the coverage amount is Rs.2 Lakh and for partial disability the risk coverage is Rs.1 Lakh. What is the default Policy Term (duration)? The default policy term is one year (1st June to31st May). You need to renew the policy every year. Is Nomination facility available? Yes, nomination facility available. In-case of unfortunate event of death of the policyholder, the nominee will get the accidental death benefit. What are the required documents? As per government, a copy of your Aadhar card alone is enough to subscribe to this scheme. Who will implement this Scheme? Government’s Suraksha Bima scheme will be offered by Public Sector General Insurance Companies (Like – New India Assurance Company, National Insurance Company, The Oriental Insurance Company & United India Insurance co, through tie-ups with banks) and all other Private General Insurers who are willing to join the scheme and tie-up with banks for this purpose. An individual would be eligible to join the scheme through one savings bank account only. How to Subscribe to Pradhan Mantri Suraksha Bima Yojna? To avail this scheme’s benefit, you should have a Savings Bank Account. A simple application form for PMSBY Scheme has to be completed and submit it at all General Insurance Companies (Non-Life Insurers) or at participating Banks branches.Aadhar card is considered as the primary KYC document but it is not mandatory to have it. You have to subscribe to this scheme every year in the month of June. 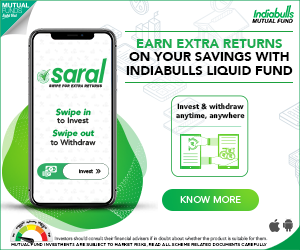 You can also prefer to give a long-term option of continuing with the scheme, in which case your account will be auto-debited (towards premium amount) every year by your bank. You may exit the scheme at any point and may re-join the scheme in future years by paying the annual premium, subject to conditions that may be laid down. You can encourage your house-maid (or) car driver…also to subscribe to this scheme. Educate them about this scheme and if possible help them in opening a Bank account (under Jan Dhan Yojana). I believe that this scheme will be beneficial for everyone, especially the underprivileged sections of Indian population. I hope that the Government publicizes this scheme very well. To know about guidelines & rules of Pradhan Mantri Suraksha Bima Yojana Scheme – Click here. Frequently Asked questions (FAQs) on Pradhan Mantri Suraksha Bima Yojana (PMSBY) – Click here. Application & consent forms for Pradhan Mantri Suraksha Bima Yojana Scheme (PNSBY) – Click here. Pradhan Mantri Suraksha Bima Yojana’s Claim form – Click here. Click here to download -Pradhan Mantri Suraksha Bima Yojana (PMSBY) application or subscription or registration form in Bangla, English, Gujarati, Hindi, Kannada, Marathi, Odia, Tamil or Telugu. Sreekanth, excellent work done and this helped in writing my blog. Thank you Very much. sir maza friend 45 year cha hota 5 divsanpurvi to livar kharab zalyane ani kavil zalyane varla .tyala 2 mule aahet.tyane pmsby policy kadhli navti. tari tyala ya yogne tun kahi aarthik madat milu shakte ka. to jobless hota. to pahile 5000/-rs pagaravar kam karaycha. Dear rajesh..I am unable to understand your query. 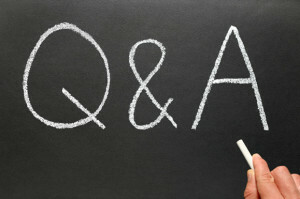 Kindly try to post your query in english or in hindi. सदर योजना ही फक्त विमा धारकाला अपघातात व्यंगत्व अथवा मृत्यु झाल्यास विम्याची रक्कम मिळु शकते . आपण नमूद केल्या प्रमाणे आपल्या मित्राने हा विमा नघेतल्यामुळे ह्या योजनेचा फायदा मिळू शकणार नाही . तरी आपणास विनंती आहे की हे उदाहरण लक्षात घेऊन आपण आपल्या परिसरातील लोकांना हा विमा घेण्यासाठी मार्गदर्शन तसेच प्रोसाहित करावे . my father deth on 07/10/2015 due t0 heartattack.what ,I can claim f0r PMSBY policy? PMSBY is accidental benefit policy. One can claim if death happens due to accident only. Partial disability benefit is also available. You can not submit the claim under PMSBY. I need policy documents for this policy’s what i do ? in case of claim nominee what he/she do? PMJJBY for both policy ‘s ? You may read my article on : PMJJBY & PMSBY claim procedure details. Myself Ashim paul,i live in Kolkata,Age-29+ actually i want to know where submitted the application form & what is Agency/BC Code?? & What is the Name Of The Insurance Company??? Hi, very useful article, could you please tell me if adhaar card really compulsory for these schemes, as i don’t have adhaar card. Sir, I read all your blogs, very useful information. I really appreciate your valuable time education public on finance. sum for her higher education. suggest right term online life insurance worth 1 crore. goals, I’m confused which pension policy have to choose. Please Let me know, if any other details are required. 2) How to create a solid investment plan? 4) Retirement planning in 3 easy steps. You are really appreciable for these scheme that at least fulfilled our tiny dream under common people benefit . Please do something for lower middle class people like me who are neither getting any benefit nor became enough to face the financial crunch. Very nice article. India needs people like you who will try to promote schemes for poor. Thank you Jayendra. Keep visiting! Please provide a comparision of individual/family accident insurance policies available in india currently? I will try to publish an article on this.. Thank you Prashant. Keep visiting! It’s very usefull for low income people. i surely educate them to take this policy as much i can. Nice to hear that! Go ahead.